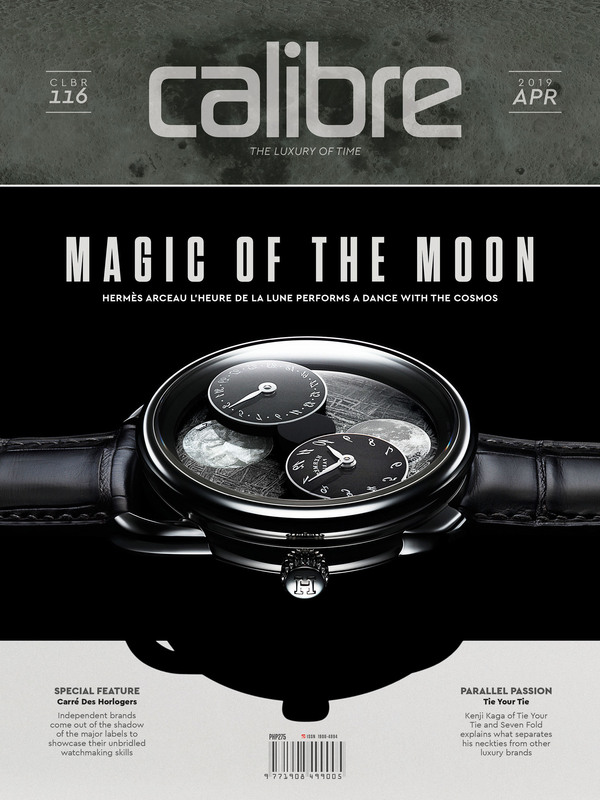 In Calibre 85 we featured Atelier Louis Moinet’s Memoris Bicentennial Edition, the watchmaker’s highly exclusive anniversary version of the Memoris timepiece to celebrate the bicentenary of the Compteur de Tierces, the world’s first chronograph invented in 1816 by Louis Moinet himself. 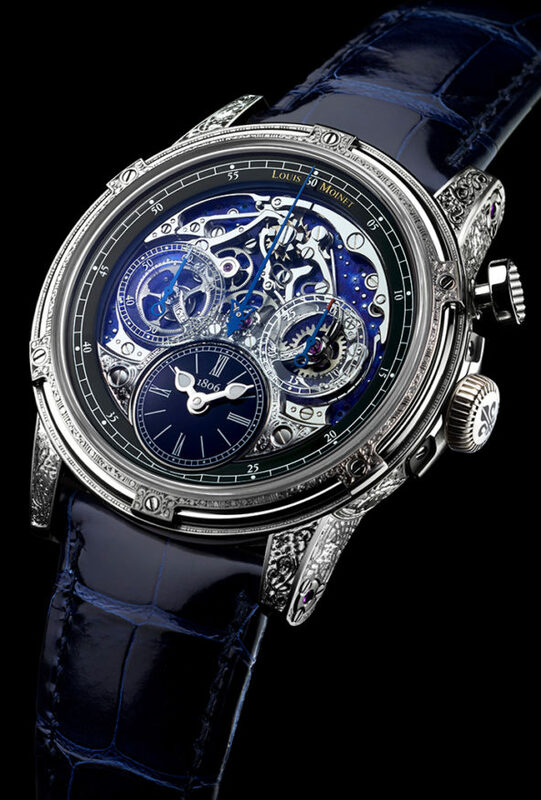 Louis Moinet unveiled the Memoris Bicentennial Edition to much fanfare at last year’s Baselworld. But months later, the Atelier unveiled another Memoris special edition at an exceptional astronomy event that literally eclipsed Baselworld because of the venue’s association with the watchmaker, and in many ways, to horology itself. The Neuchâtel Observatory, or the Observatoire Cantonal de Neuchâtel is an astronomical observatory founded in 1858 funded by the Public Economy Department of the Neuchâtel state (Switzerland). But aside from gazing at the night sky, the observatory had another function that helped shape the modern watch industry as we know it today. Also known as the Observatoire Astronomique et Chronometrique de Neuchatel, the Neuchâtel Observatory was one of a handful of European observatories that worked with atomic clocks to assess and rate Swiss timepiece movements for accuracy. As marine navigation adopted the usage of mechanical timepieces for navigational aid in the 19th century, the accuracy of such timepieces became more critical. From this need developed an accuracy testing regime involving various astronomical observatories. So instrumental was the Neuchâtel Observatory in this discipline in fact, that it was a key factor in the development of the modern COSC standard. The Neuchâtel Observatory was built ten years after Louis Moinet published his now legendary Traité d’Horlogerie and is, today, a major cultural heritage site. This historical location, closely associated with the history of Louis Moinet and to chronometry itself, was chosen by the atelier to unveil their anthology timepiece in an event entitled “200 Years in 24 Hours.” Booked for 24 hours last September 16 on the occasion of last year’s lunar eclipse, Louis Moinet presented the Memoris Red Eclipse to further celebrate the invention of the chronograph in 1816. During the program, Louis Moinet retraced the origins and development of one of the greatest complications in Haute Horlogerie for the past two hundred years. And in between observing the eclipse of the moon, Louis Moinet found the time to unveil the outstanding Memoris Red Eclipse. Like the Bicentennial Edition that is its forebear, the Red Eclipse is housed in a 52-piece, 46 mm white gold case held together by six visible screws on the bezel. Filigreed to within an inch of its life, the case of the Red Eclipse sports alternating brushed and polished finishes, and bears the Louis Moinet signature on the side. 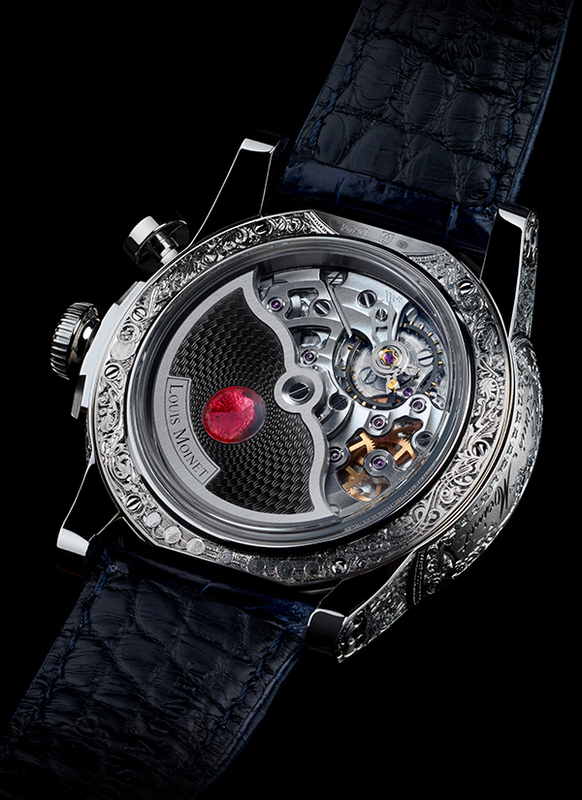 And in homage to traditional watchmaking, it features chevé concave crystals, now made from scratchproof sapphire. Since the Red Eclipse was also created to celebrate Louis Moinet’s invention, the chronograph is still the main star in this exercise of steampunk predilections. Thus, the chronograph sits in front of the watch with the innovative movement designed to sit around it. The 32-piece LM54 self-winding calibre, by the way, is neither a skeleton or supplementary module. Indeed, Louis Moinet has opted to place the time mechanism on the back of the 4Hz movement, beneath the plate. Following on from the first Memoris watches, unveiled in 2015 to celebrate our tenth anniversary, this bicentennial edition opens up a whole new chapter of celebrations – and the next decade of Louis Moinet creations. Thus, when the pusher is pressed, every single aspect of the chronograph’s action can be admired in its entirety with nothing to block the graceful ballet of steel and gears passing information to the hands. Best of all, to ensure that no part of the chronograph mechanism is obscured, the counters and flange are made from a specially-manufactured translucent material exclusive to the Atelier. The material is produced by combining a number of composite materials with high temperature vacuum molding, which in its natural state is as pure and translucent as crystal but nowhere near as fragile. This allows for the material to be used for the counter bridge, too; as well as for the actual raison d’être of the Memoris Red Eclipse. The compteur de tierces was originally designed to track the movements of heavenly bodies; in other words, it was designed to be an instrument for astronomy and it was only much later did horologists discover its second vocation. 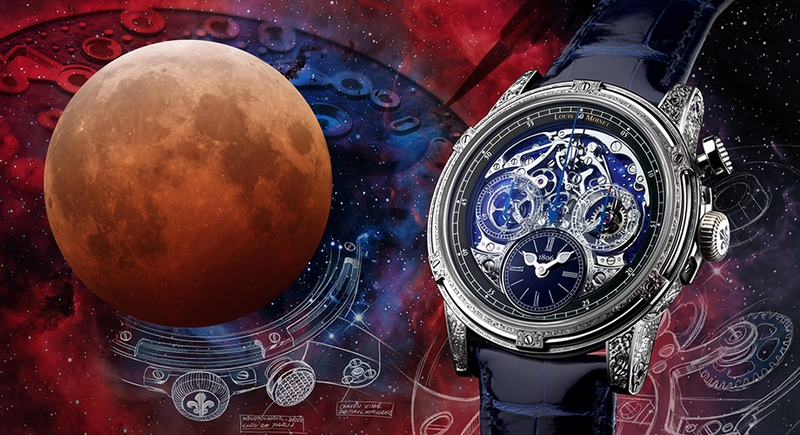 As homage to Louis Moinet’s astronomical device, the Memoris Red Planet mirrors the actual sky at night, the highly exclusive centerpiece of which is a chronograph plate in a special shade of midnight blue. From there a host of individually hand-engraved stars shine forth, each crafted using a brand new fixed graver technique that involves attaching a specially-made lathe to a traditional rose engine (also known as a guillocheuse). Unprecedented in the history of watchmaking, this fixed graver technique combines the rigidity of a rose engine with the fluency of a handheld graver. The end result of which differs from milling or stamping. And while the effect resembles that traditionally associated with guillocheuse, here the process focuses on the removal of material of A) varying levels of depth, and B) on a tiny area – two characteristics traditional engine turning seeks to avoid at all costs. Best of all, individual stars are fashioned with different angles and depths, the end result being a true depth of field with each and every star capturing and reflecting all available light. This requires the fixed graver to be used many times, which (again) is unprecedented in the world of watchmaking. The Memoris Red Eclipse marks its star-studded pedigree with a red-tinged moon in gold-leaf enamel on its oscillating weight. And limited to only twelve fully hand-engraved watches, the timepiece has also qualified for the Geneva Watchmaking Grand Prix in the Chronograph category. Stay tuned to this magazine for more updates on this story. After almost two years, the wait is finally over, Louis Moinet has finally been officially recognized as the inventor of the chronograph. 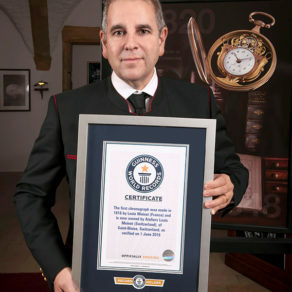 Last November 2016, the official Guinness World Records organization bestowed the official title of “World’s First Chronograph Ever,” to Atelier Louis Moinet with exclusive rights given to the watchmaker to its use. The detailed six-month investigation conducted by the Guinness World Record organization called for the provision of technical diagrams, historical proof, the written testimony of a large number of independent experts, and a whole host of photos and video material. Three strictly limited editions to celebrate the watchmaker’s invention were created in 2016. The first was unveiled in Geneva in January; the second, at Baselworld; and the third, the Memoris Red Eclipse, was unveiled at Neuchâtel Observatory and is currently shortlisted for the Geneva Watchmaking Grand Prix.